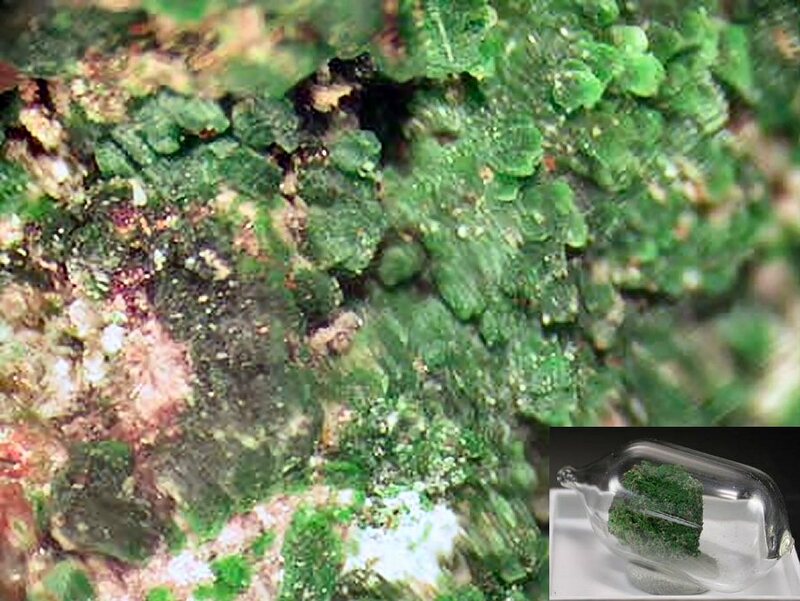 Comments: Green vergasovaite on matrix. Inset shows the sealed glass ampoule with the specimen inside to protect from deterioration. Location: Northern Breakthrough, Tolbachik Volcano, Kamchatka, Russia. Scale: Specimen Size 1.5x1.5 cm.